Ever since I have discovered the anti-aging and anti-pollution ( haha you can say that! ) effects of sunscreen, I really make it a point to wear sunscreen on my face, on my neck everyday. When I started driving, I even went more aggressive so as applying sunscreen all over my body to prevent body aging, too! It's such a great routine of taking care of your body making sure it ages gracefully without the damaging effects of the sun in the long run! 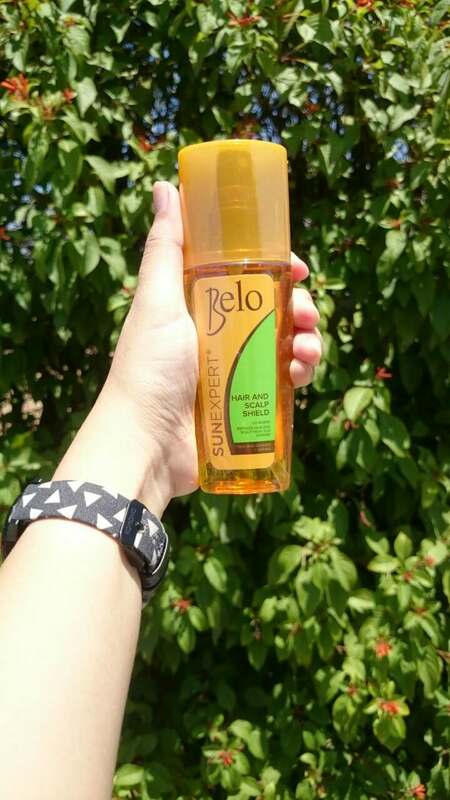 Now, Belo has a new product offering in the market in which I am so psyched about! The new Belo SunExpert Hair and Scalp Shield is just so amazing, and in time for summer - just when I feel that everything is scorching up, even up to my scalp! 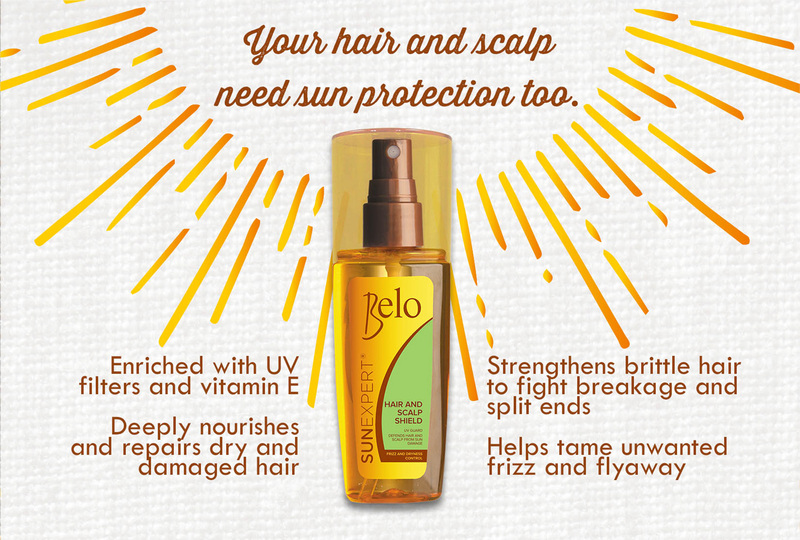 Belo SunExpert Hair and Scalp Shield is enriched with UV filters and Vitamin E to protect the hair from sun damage and provide deep nourishment for the hair from root to tip. It also tames frizzies and keeps hair in proper order. I was so excited to try this that I immediately sprayed oh so generously on damp hair. My hair, when dry, felt oily. So lesson learned - apply in small amounts first. The second time I tried it, I sprayed only a small amount on damp hair and spread it all over my hair. My hair looked great when it dried - tamed, frizz-free, moisturized, and at the same time, protected from the sun! I love this! 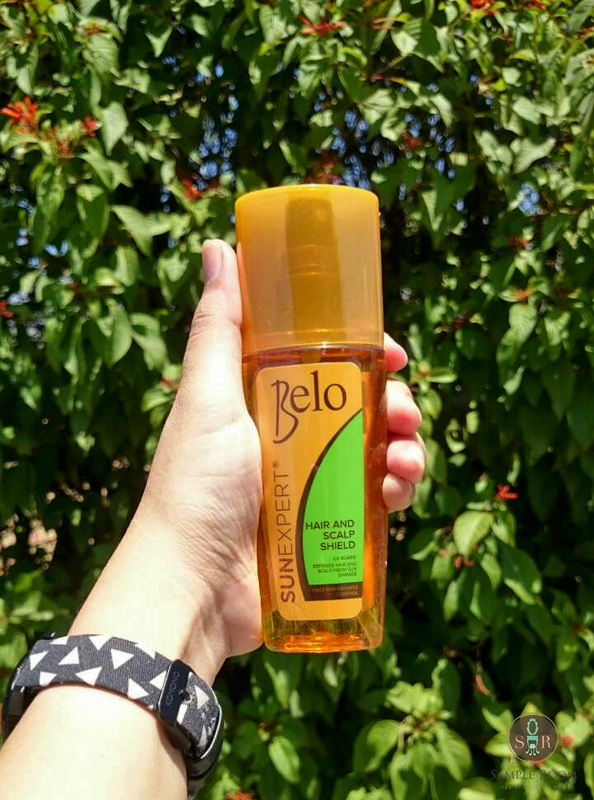 I highly recommend the Belo SunExpert Hair and Scalp Shield to be brought with you to the beach as your friendly hair #sunscreencompanion to ensure your hair doesn't get scorched up and damaged as you play under the sun. This would also be a great city friend wherein this can be sprayed on damp hair every morning to ensure that your tresses dry in a tamed manner - no frizzies, but maximum protection.